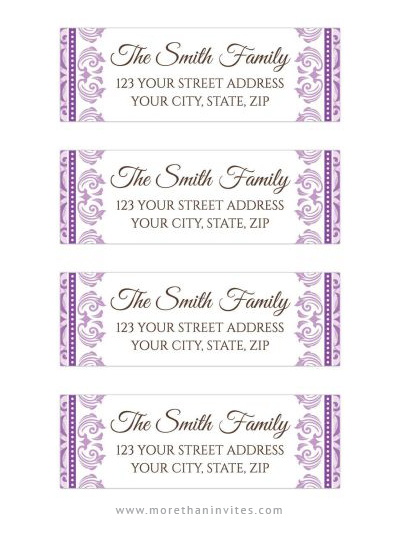 Elegant, purple mailing or return address labels with purple damask borders on the sides. Brown text. These labels match the first holy communion/confirmation invitation set with ornate damask borders and the purple damask bat mitzvah invitation set but would also be great for a wedding, bridal shower, anniversary, birthday etc. Available from Lemon leaf prints.